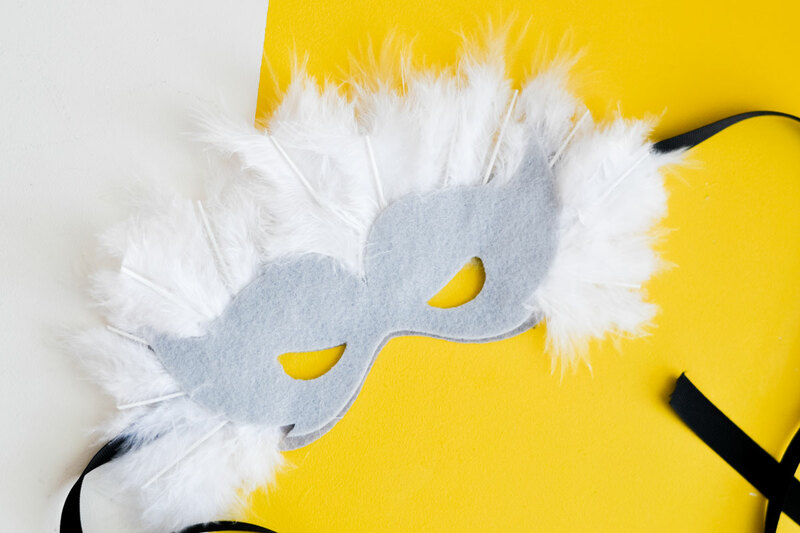 I love creating party decor and so when Cricut released the Knife Blade, I knew I had to make myself a Cricut cake topper. 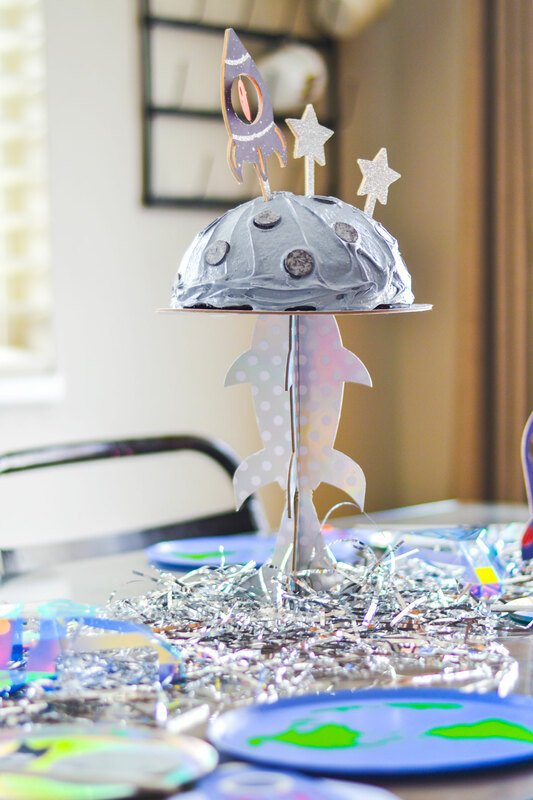 We put together an Outer Space Party to celebrate my nephew turning 11. 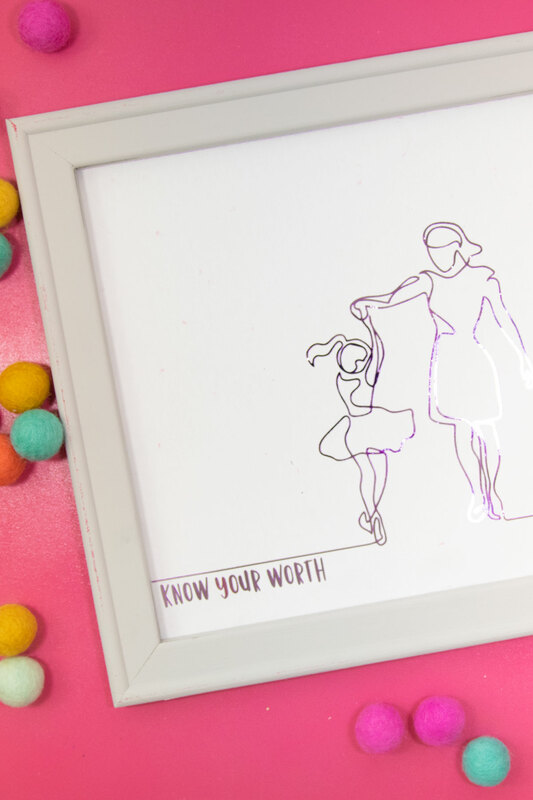 See how easy it is to make your own cake topper with Cricut. 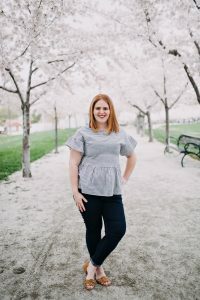 I have loved the versatility that my Cricut Maker has given me and I especially love creating things that I normally would buy but wasn’t the aesthetic I was looking for. I’m able to make my own pretty fast and to me, it’s more practical because I have everything I need here at home. 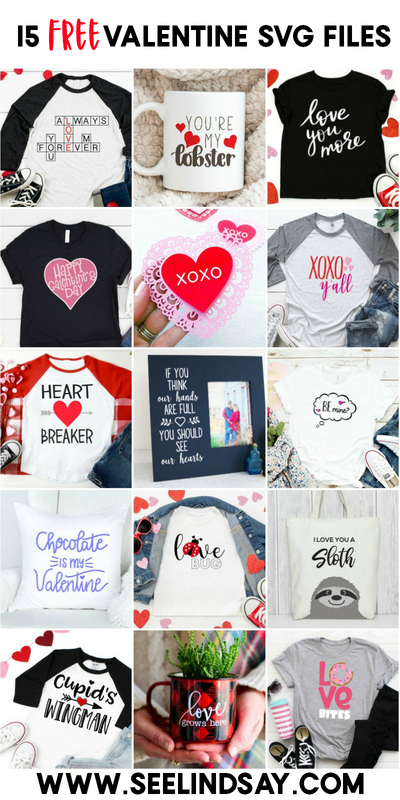 You’re going to, first of all, need a Cricut Maker. 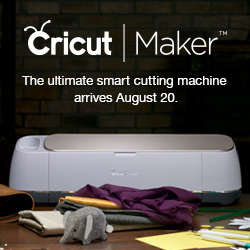 Cricut released their Maker’s in August 2017 at a party that was beyond all parties. They have since been released in a few different colors like blush and blue but my trusty champagne color is perfect and gets the job done. Begin by securing your 3/32″ basswood to a strong grip mat. I use some painters tape or masking tape to hold it on there securely. When you use the Cricut Knife Blade, you want to be sure that your project will not shift as your cutting. The tape helps prevent that. Next, load in your Cricut mat into the Cricut Maker. Send your Cricut Design Space file to cut and choose basswood from the menu of materials and then it’ll show you to load your Knife Blade and select go. Yes, but it’s a little tricky. 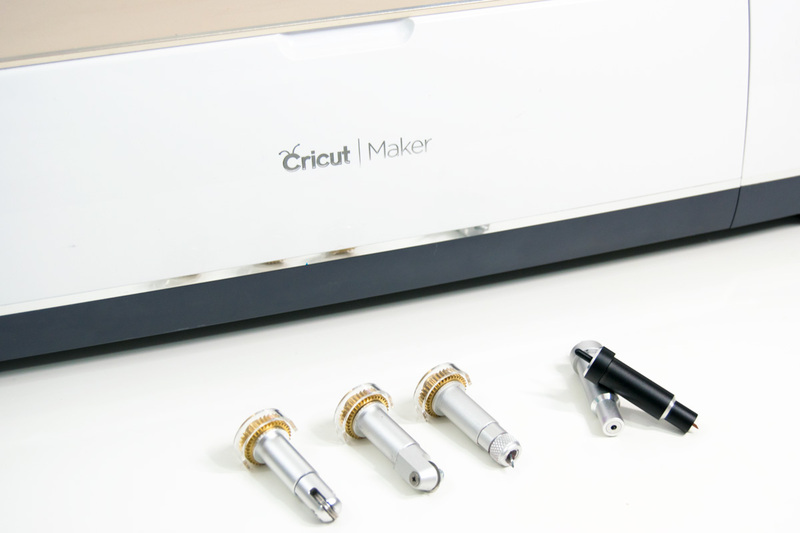 Cricut recommends using the USB cable to hook from a desktop to your Cricut Maker to avoid a call that can interrupt or even a game that can interrupt your cut. This is why the Knife Blade is not available on their mobile app. 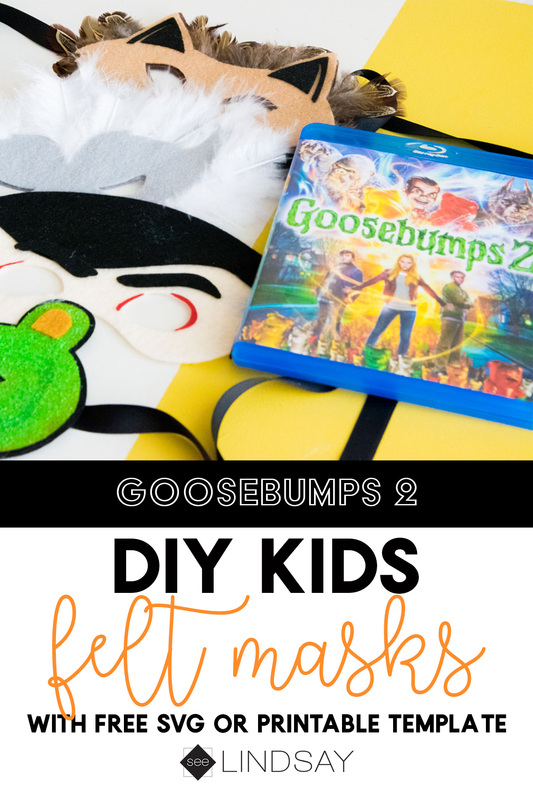 I use Bluetooth to my Cricut Maker because my desktop computer is in the hallway and my Maker is in my bedroom and a hassle to move each time. I have only had one issue where it thought my Cricut was done but it was just a long pause so I had unloaded it and it wasn’t cut all the way through. Don’t think that you cannot ever use Bluetooth with your Cricut Knife Blade, you can but there are risks involved so be aware of that. What kind of adhesive can I use with Cricut Chipboard and Wood? You have two choices but you cannot mix the two. 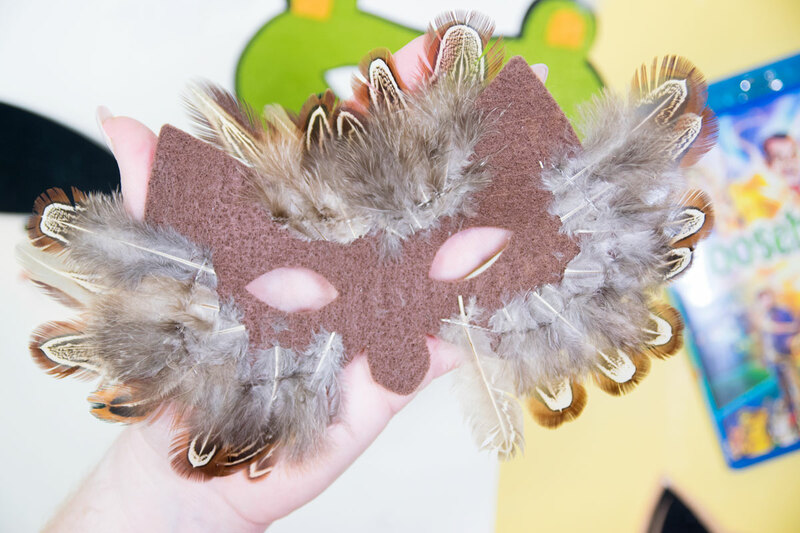 You can use a dry adhesive like a Xyron Creative Station or a wet adhesive like Mod Podge. This method is mainly for the Cricut Chipboard but it’s a rule I follow so I don’t ruin other projects. I prefer to use my Xyron Creative Station with Cricut Chipboard or with any wood cutouts. 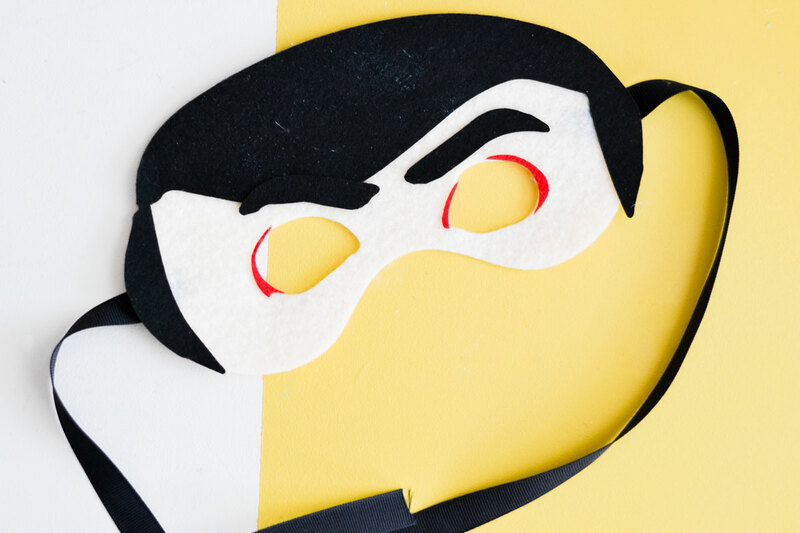 It won’t leave a sheen or brushstrokes on my project and keep my Cricut cake topper clean. How long does the Cricut Knife Blade cut for? This really depends on your design. I can cut a circle in a matter of 3 minutes because it has that one line to follow and it doesn’t need to lift up and rotate the blade. 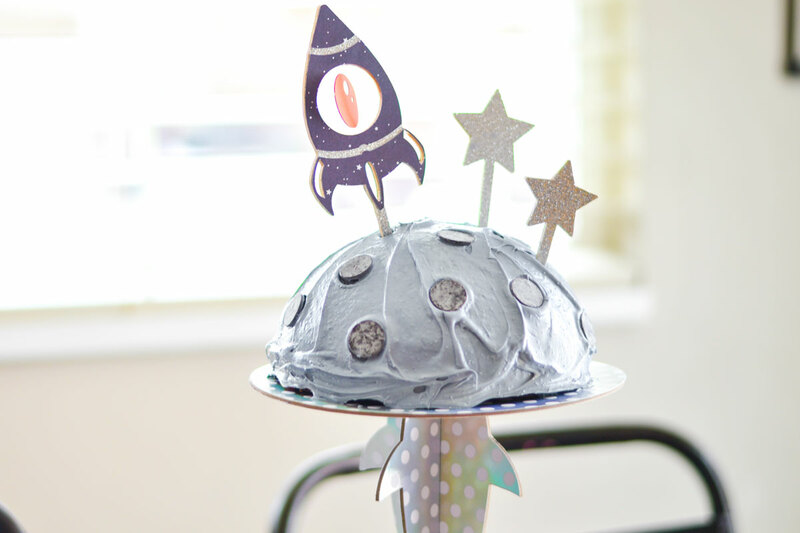 My spaceship Cricut cake topper and stars took about 65 minutes. Because it can take up to 5-6 hours to cut something, this is also why Cricut tells you to use the USB cord. Believe it or not, this cut was pretty fast and so I didn’t need to lug my Maker near my computer to be sure it wouldn’t cancel or shut down on me. 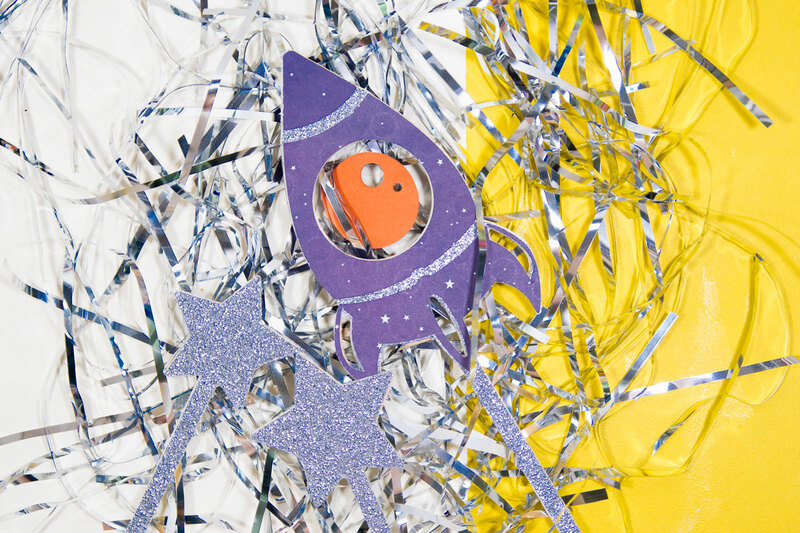 After I cut all the pieces for my wooden Cricut cake topper, I cut the same images out of cute outer space cardstock from My Minds Eye along with some glitter cardstock and orange cardstock for the mini window. Run them through my Xyron Creative Station and began adhering them to the wood. I used this same method of making the window float as I did on these 3D rockets. Lay the thread on the back of the silver glitter cardstock and then adhered that as my first layer of the wooden Cricut cake topper. Then lay the second layer of the printed cardstock. 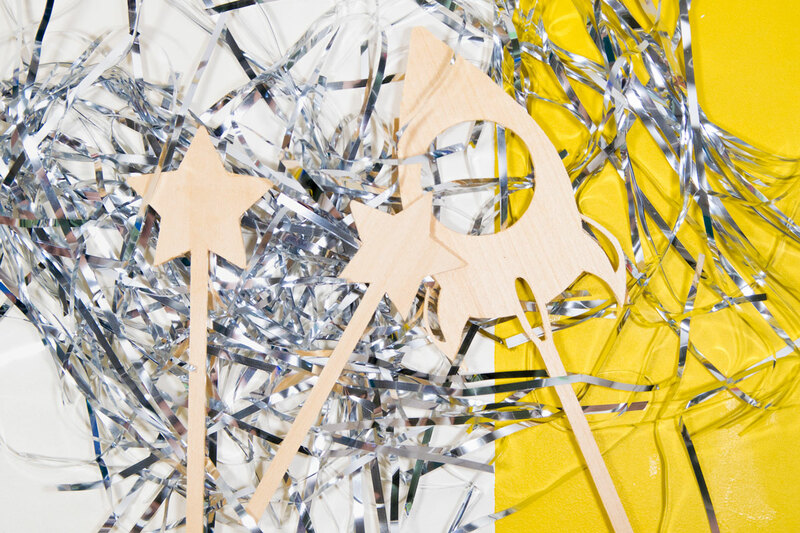 For my wooden stars, I did the same thing. Just lay the glitter cardstock over the wooden Cricut cake topper and set it aside. You’re going to need an 8″ hemisphere cake pan and any cake mix you like. Bake the cake according to package instructions and then allow it to cool completely. I then took some black gel food coloring and added a small amount to my white frosting. Frost your cake and then you’re going to want to stick some black candy melts to resemble the craters on the moon. Place your Cricut Cake Toppers into the cake and serve. 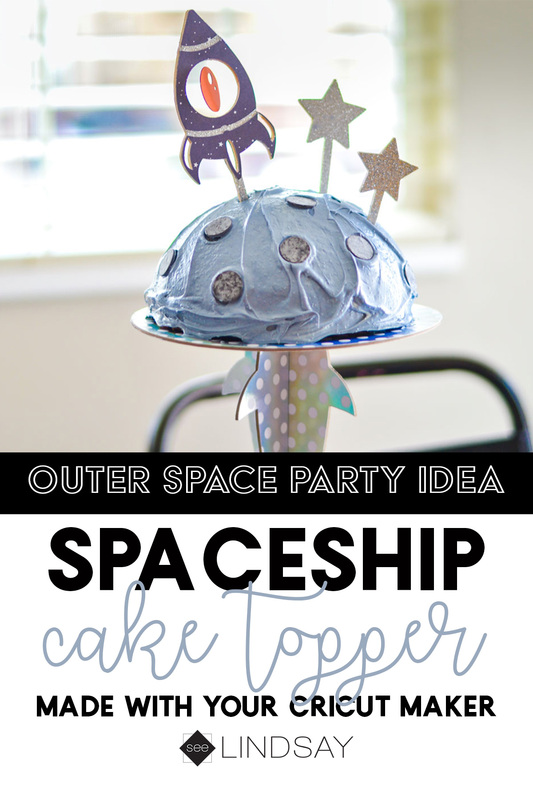 What child isn’t going to love this space party? 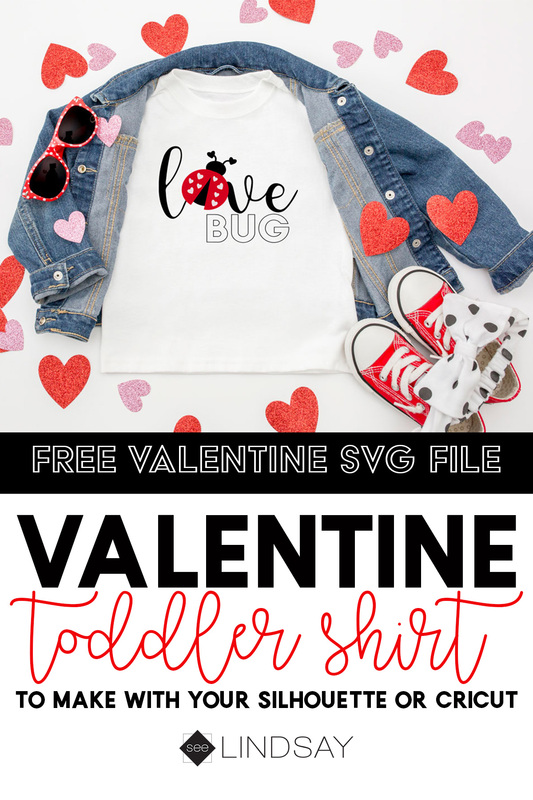 Valentines is just around the corner so why not make his adorable Valentines T-Shirt using this FREE Valentine SVG file use your Cricut or Silhouette to cut it and make your toddler look like a love bug. This post constrains affiliate links. Thank you for your support. 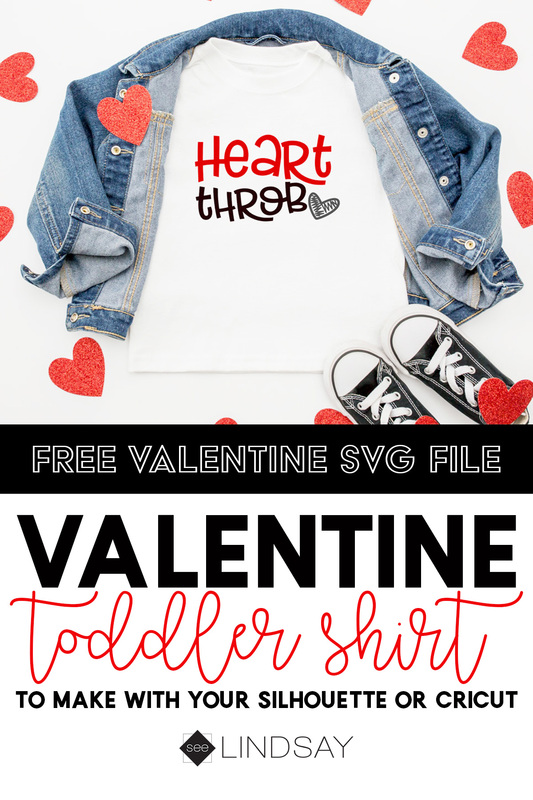 Make this amazing Toddler Valentine Shirt using this FREE Love Bug Valentine SVG. Malakai is looking like a stud in his Heart Throb Valentine shirt using another free SVG file I designed. 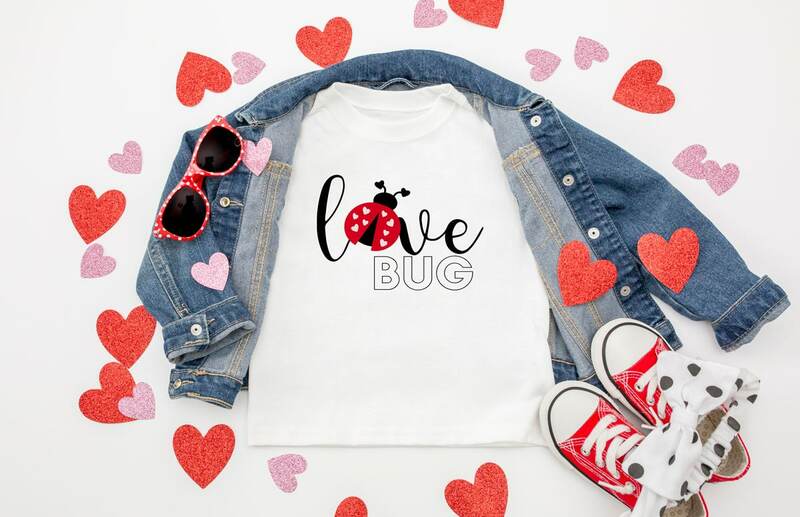 But this Love Bug Valentine shirt gives you a more girly feel. Use these SVG files and upload them into your design software and cut it out with some Heat Transfer Vinyl (aka Iron-On Vinyl). 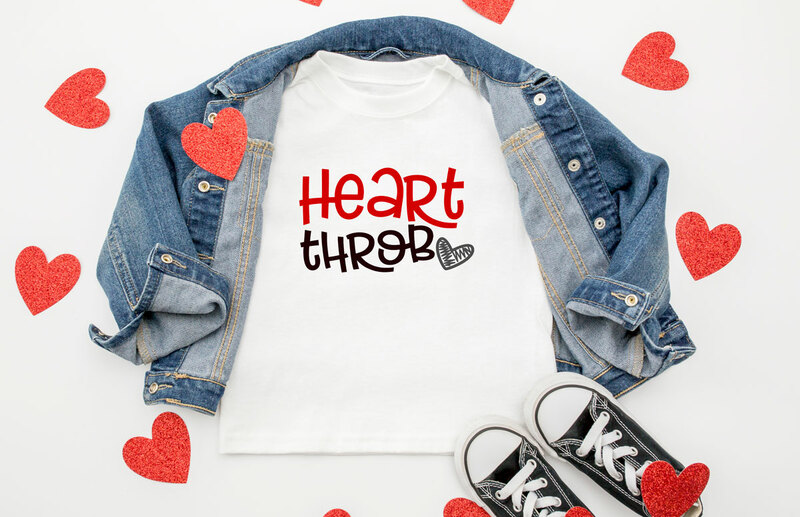 Grab the coordinating boy version of this adorable Valentine shirt by clicking on the image below. 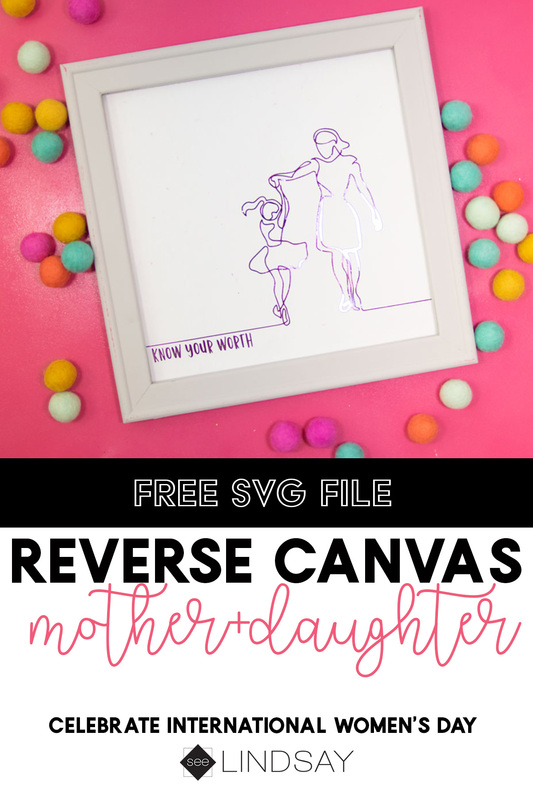 We, as bloggers, love to see what others make with the free SVG files we offer but please remember these are for personal use only and not for distribution. Grab these other 15 free SVG files below and check out the other free SVG files we’ve offered for past holidays. 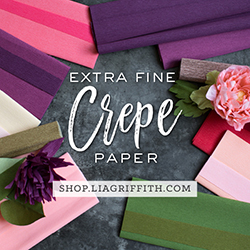 Love you More – Pineapple Paper Co. 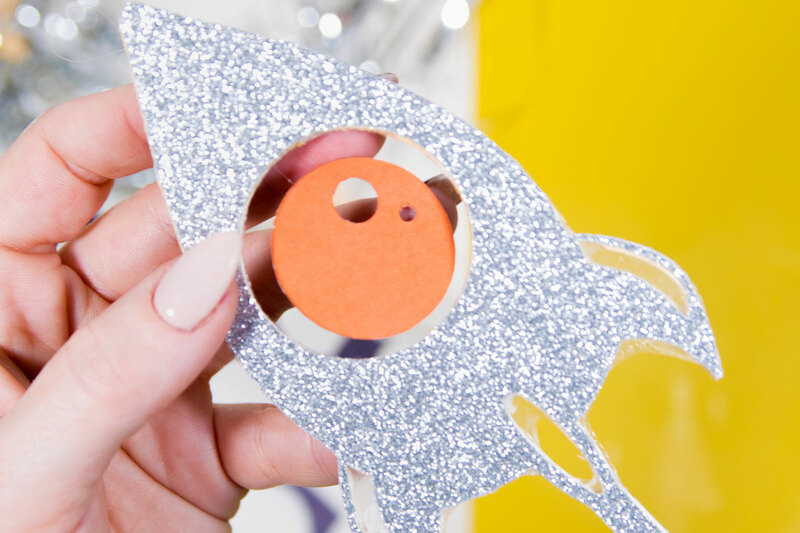 Create the coolest 3D Paper Spaceships for your next Outer Space Party. It’s the perfect addition to your tablescape and really easy to put together. And find out why I love my Xyron Creative Station. I have had the honor of being on Xyron’s Design Team the last 9 months and today is my last project of the year for them. 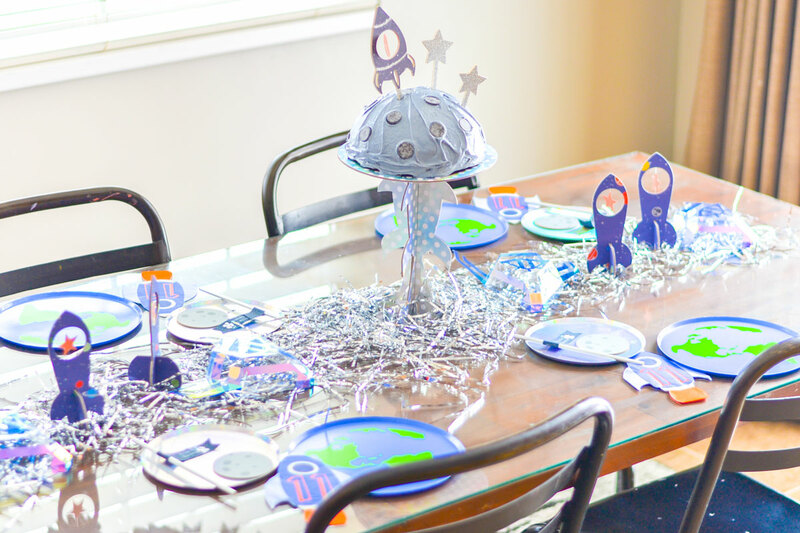 I’m going to be having a space party next week and so I wanted to add some space decor to the table to coordinate everything. 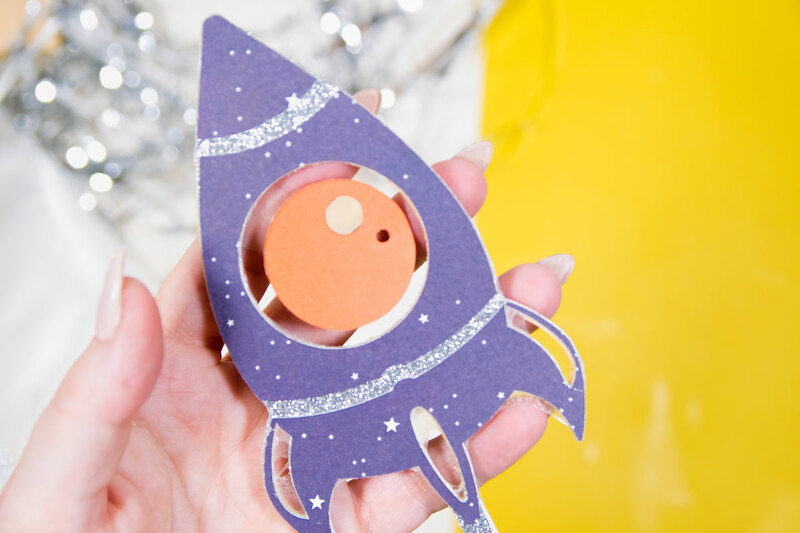 These 3D paper spaceships are perfect! What is a Xyron Creative Station? 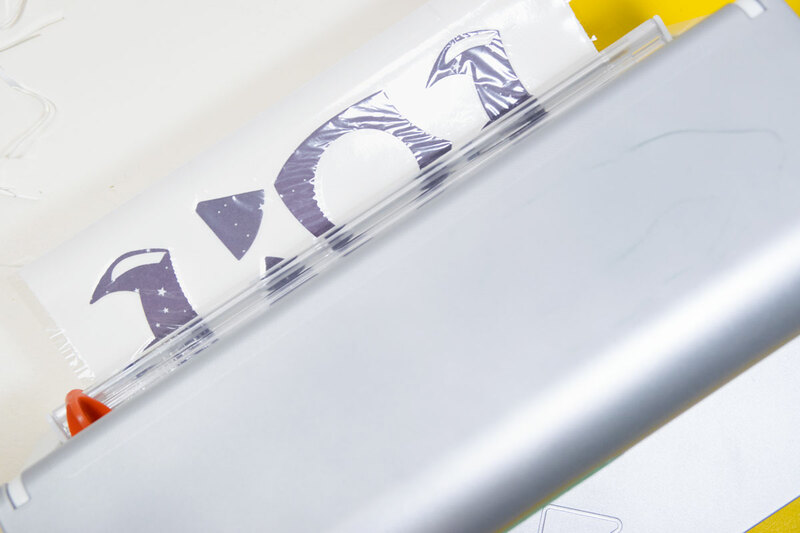 A Xyron Creative Station is a crafting adhesive that turns your paper into an automatic sticker. It comes in a 5″ size where you can use the 3″ and 5″ refills or a 9″ size which you can use the 5″ and 9″ refills. There are several kinds of cartridges you can find from permanent to removable adhesive or create some laminated magnets or just laminate without heat. Xyron is one of my favorite companies to use when I have small pieces I need to adhere to something. 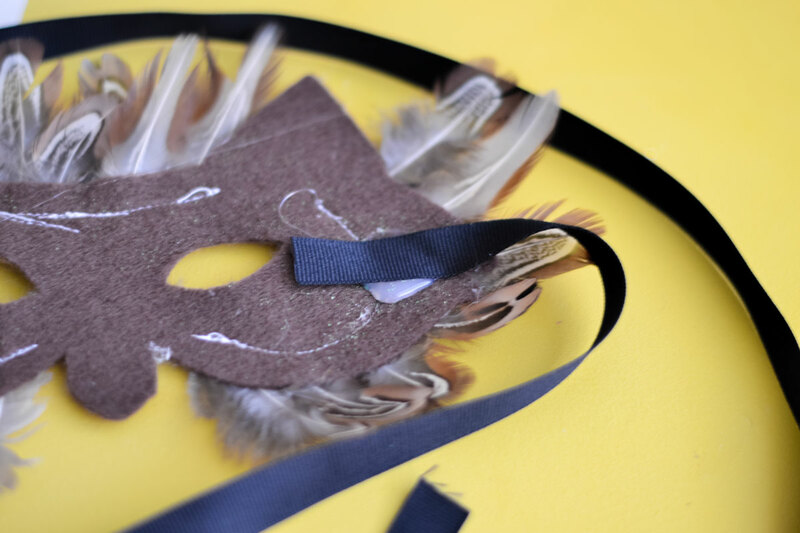 Usually, I will cut an item that is really detailed and a liquid glue just can’t seem to work very well and often times it soaks the fine cardstock and then you lose the details in your project. The Xyron Creative Station is perfect for small and large jobs. Below I used it for adhering the cardstock to my 3D paper spaceships but I’ve also used it to make some 3D scrapbook layouts, felt stickers, and some pretty intricate cards for Mothers Day. This is by far the most versatile Xyron item but it well worth the investment. 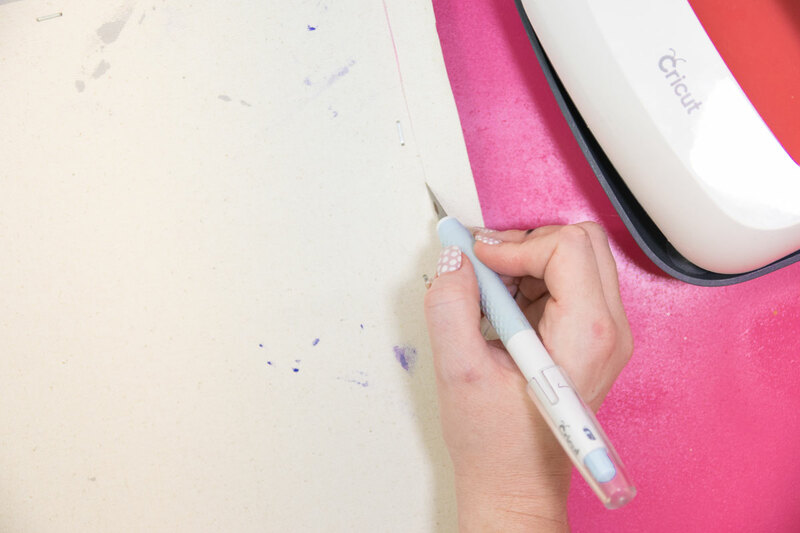 If you’re really just looking to make tiny pieces into stickers, the 1″ sticker maker is perfect for that. I found, though, that after I purchased my 1″, I moved to a 3″ and then to a 5″ and now I just use my 9″ Creative Station for everything. Give your past crafts a look and see what Xyron product would be most beneficial to you. I used my Cricut Maker and created a file in Cricut Design Space. 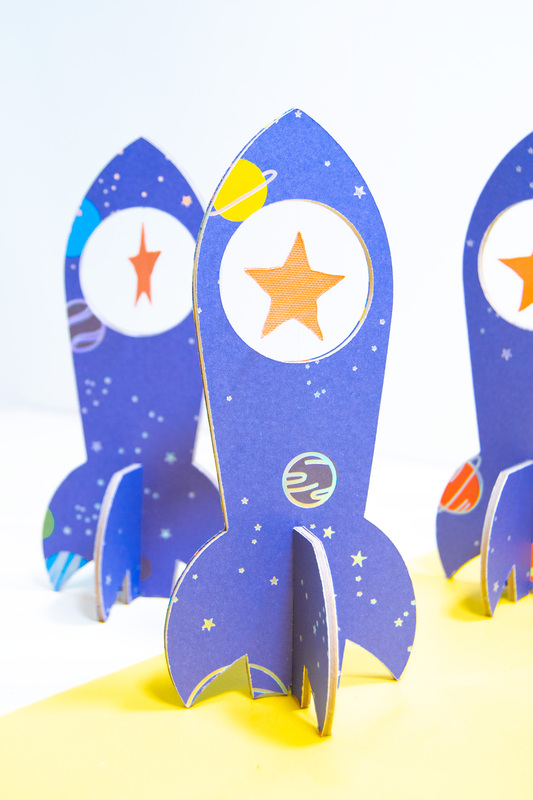 For these paper spaceships, I used my Cricut Knife Blade and some 2mm thick chipboard. Begin by opening the file and getting your paper set out. I used this “Blast Off” line paper by My Minds Eye and it has the perfect holographic pattern and a minimalistic space theme. I’ve got the matching napkins and a little moon cake that I cannot wait to show you! 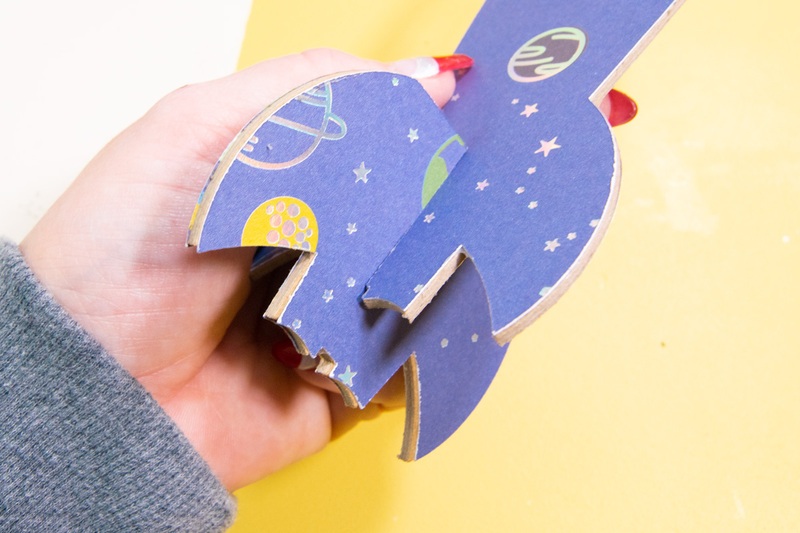 So I began by cutting out my 3D spaceships with the chipboard. 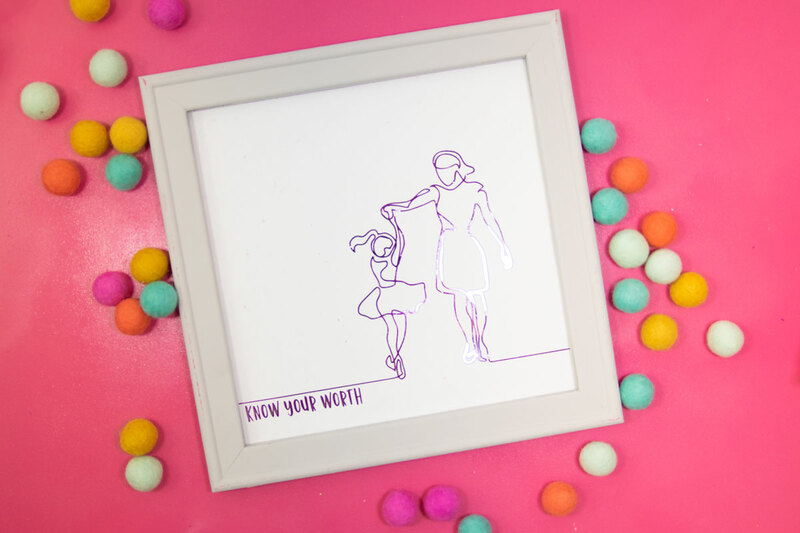 I created this file in Cricut Design Space and created a slit that was .1″ wide so that it was wide enough to have the chipboard snug with the scrapbook paper adhered. 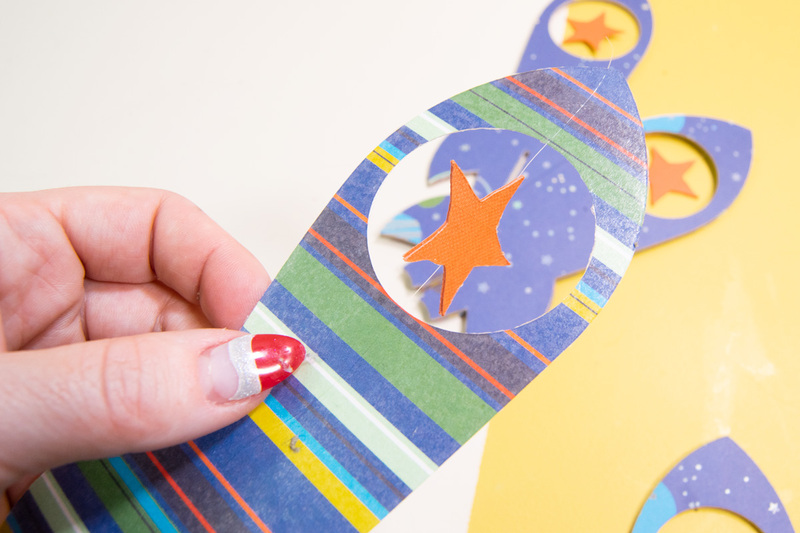 After I cut matching pieces out of cardstock and my stars, I ran them through my Xyron Creative Station. How do I make a piece of paper float on a craft? Begin with the stars. Cut a piece of twine or fishing wire about 3.5″ long. Lay your string on the back of the star and adhere the other side over it. You’ll have two halves put together with a string in the middle. 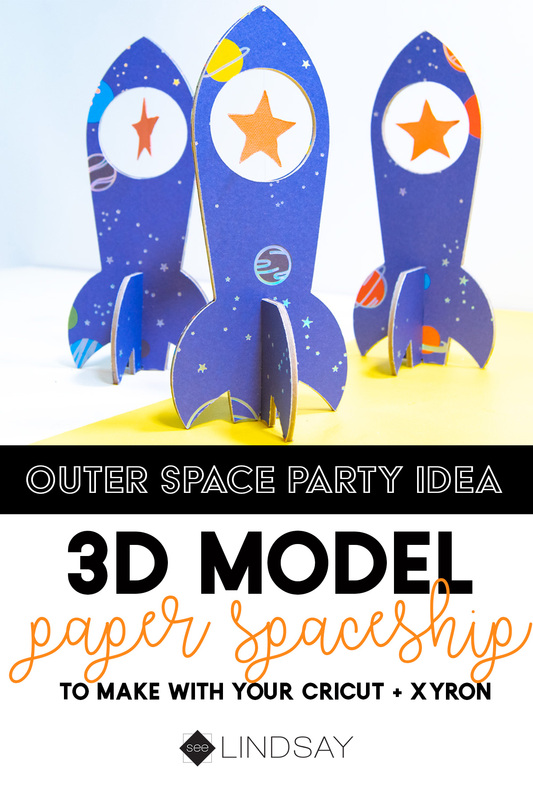 This will help create a floating look on your 3D paper spaceships. 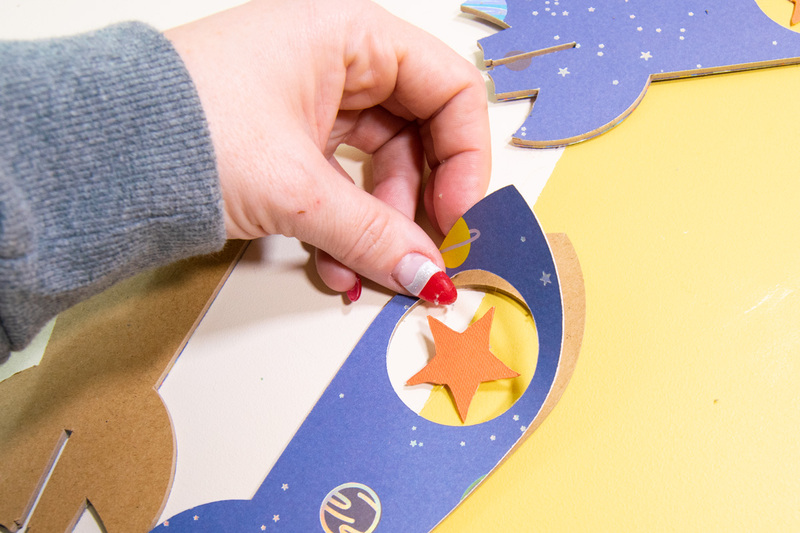 Place the star in the middle of your chipboard spaceship piece and then lay the cardstock over the chipboard. This will secure the star so that it is actually “floating” on your paper spaceships. Place the other cardstock over the coordinating pieces of chipboard and then place the two slits together so it is standing straight. Having a farmhouse Christmas is something new in decorations that I am trying this year. 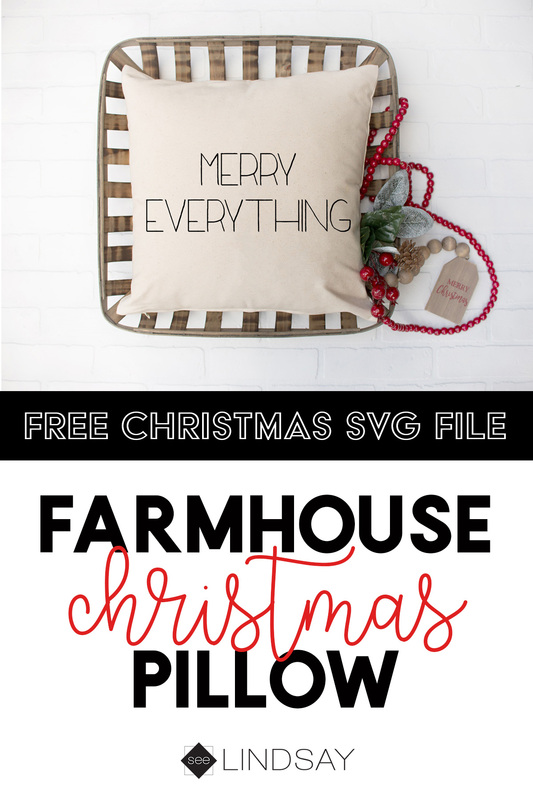 Learn how easy it is to make your very own farmhouse pillow for Christmas and grab the free SVG file to make it on your Cricut, Silhouette or Brother. I’ve changed up my Christmas decor to be more farmhouse by adding more felt banners, white snowflakes and just a more homey look all around. 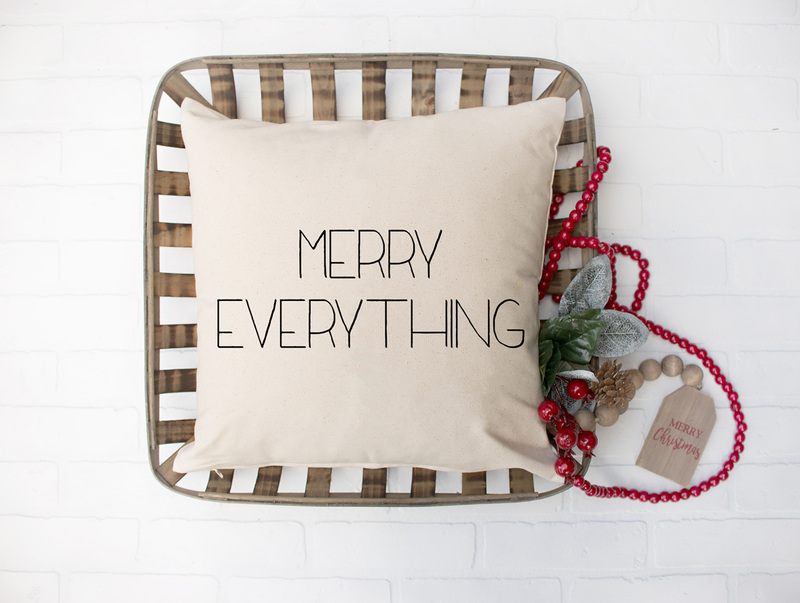 I love this Merry Everything pillow and I’m also contemplating if I should leave it up year round so I can say goodbye to the Debbie Downers. 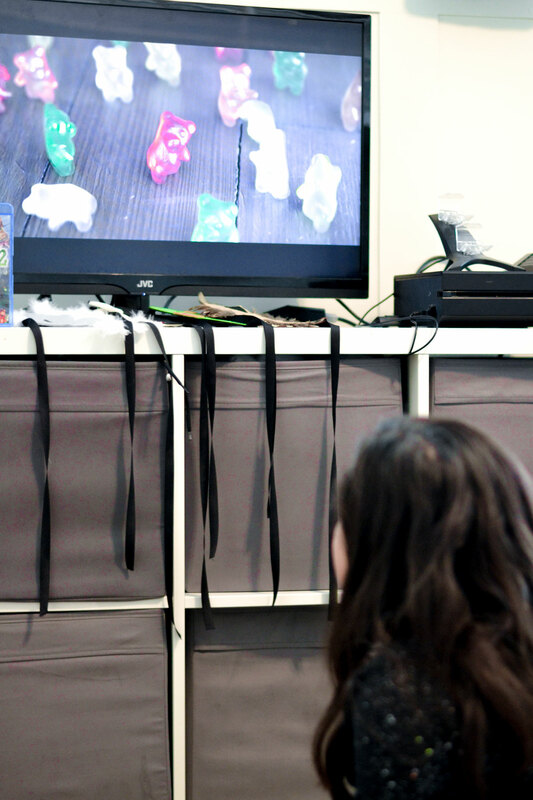 Upload your image into your design software. 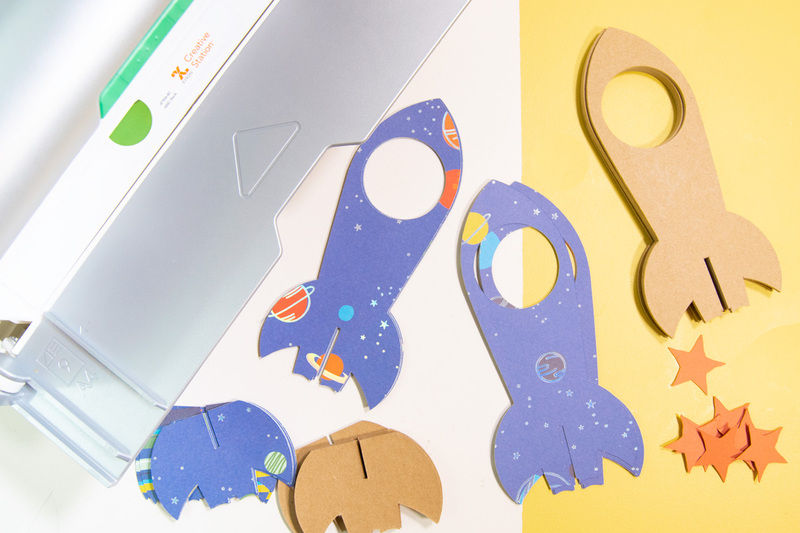 Cricut Design Space is extremely new user-friendly. Silhouette America’s software is a lot like Adobe Illustrator. Now that I’m becoming more familiar in Adobe Illustrator, it’s making me more confident in using Silhouette’s software. You want to be sure to mirror your image before you cut. 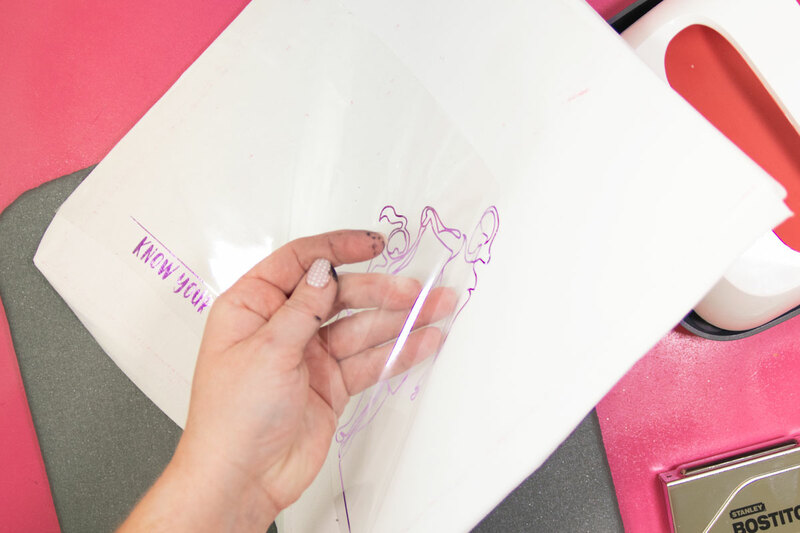 You’re going to not want to cut completely through the carrier sheet of your Iron On because it will hold your image together and have protection between your Iron On and the heating vessel. If you’re going to adhere your HTV with an Iron, use these instructions here. If you’re going to use a Cricut EasyPress, use these settings available here. Pay attention to the material you are pressing on. It always depends what material you’re pressing your image on and what type of Iron On Vinyl you’re using. A lot of the shinier, metallic HTV requires a cold peel method which some people say to wait 30 minutes to be safe. This will prevent your HTV from wrinkling. How do I keep my Iron On Vinyl from lifting after washing them? After you’ve pressed your image, be sure to wash your items inside out and on a gentle cycle to prevent the HTV from lifting. Hang dry your Christmas farmhouse pillow to make it last longer. Care is just as important as the application so follow all of the manufacturer’s recommendations. 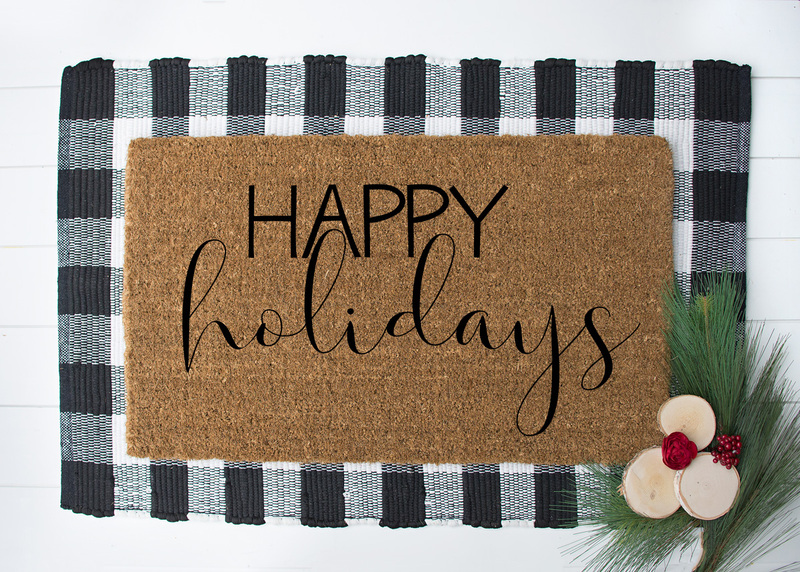 Have you wanted to learn how to make your own custom doormat? 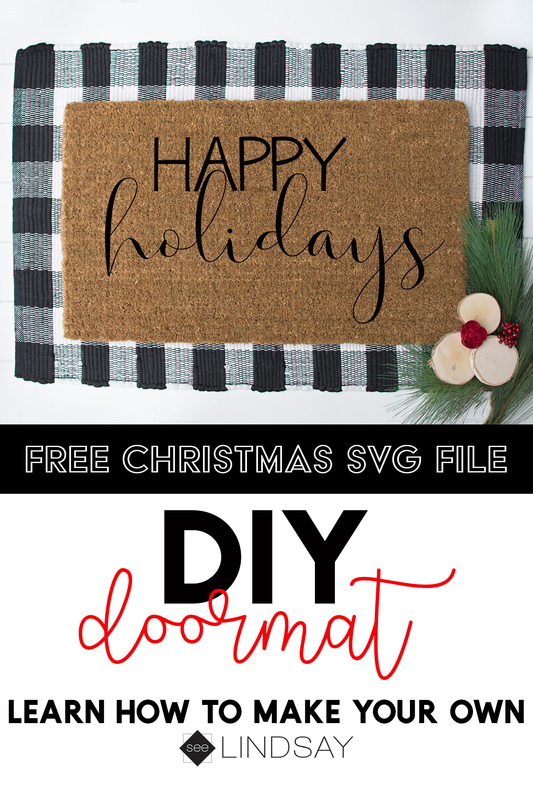 Use these tips and tricks to learn the easiest way to get crisp lines on your doormat and while you’re at it, download the FREE Happy Holidays SVG file to cut with your Cricut, Silhouette, or Brother ScanNCut. There are a few things to know before you make your custom doormat and I’ve compiled some of my favorite tips and tricks to achieve crisp lines, reduce bleeding from your paints and how to save you time. A few weeks ago I made this Hocus Pocus Spell Book Doormat and I learned a lot of things you shouldn’t do while making a personalized doormat. Don’t use stencil vinyl. It will not stick to the fibers in these types of doormats. You want to use something that you’ll be able to get a good adhesion while also allowing crisp lines when you’re painting your doormat. What should I use when painting a doormat? You want to use some freezer paper. I linked to my favorite above and it fits perfectly in a Cricut or Silhouette. This Happy Holidays SVG file can be uploaded to any electronic cutting software. I don’t know much about the Brother ScanNCut but I do know that you will have to have the designer edition of Silhouettes software which is an extra expense. 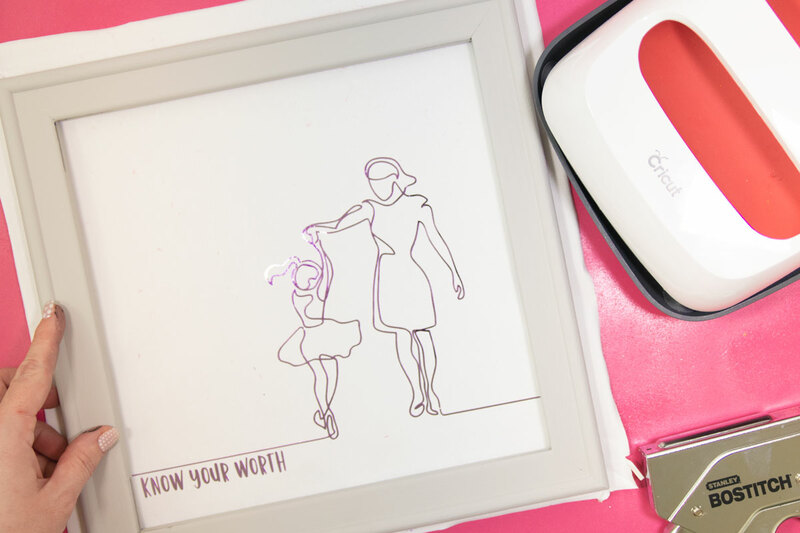 To upload a photo or SVG file into Cricut Design Space is free. It’s a pretty simple thing to do. I like uploading SVG files better than PNG or JPEG files because everything is done for me and I don’t need to do any additional edits. To see how to upload an image into Design Space, click here. How do I make stencils with freezer paper? 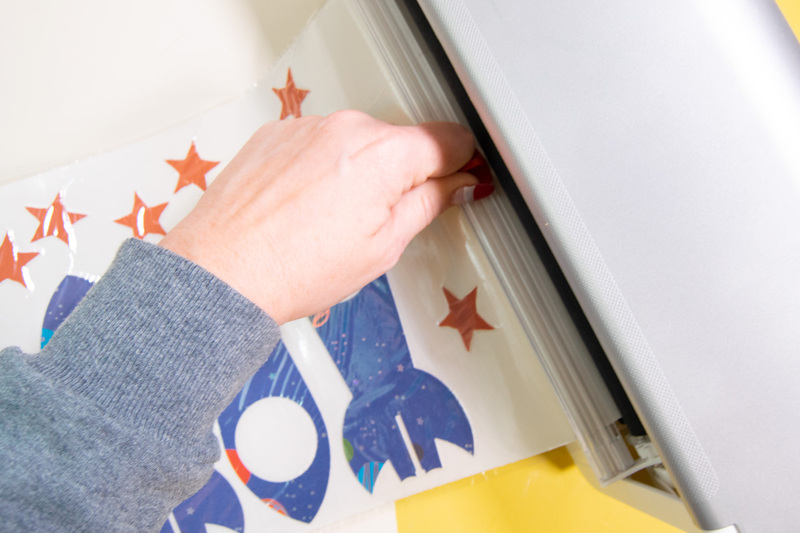 You can use an x-acto knife when cutting freezer paper or an electronic cutter. 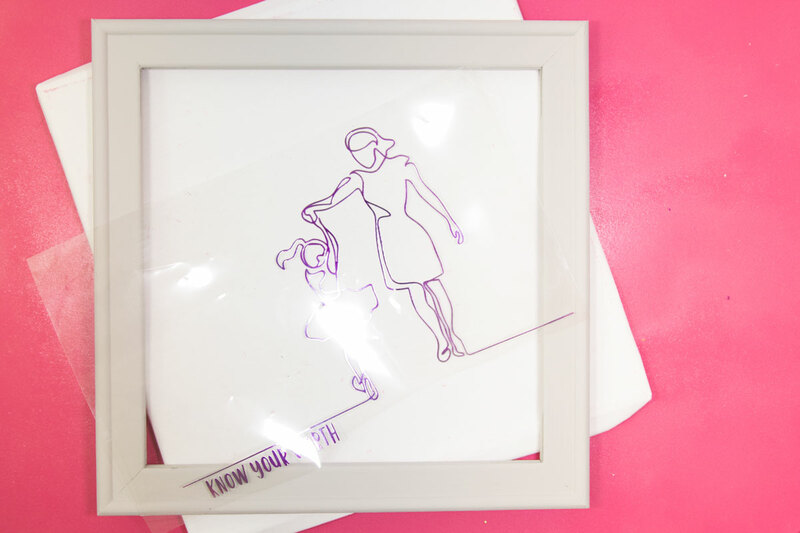 To make a stencil with your freezer paper, lay your printed image on a cutting mat and then lay the freezer paper shiny-side down on top. 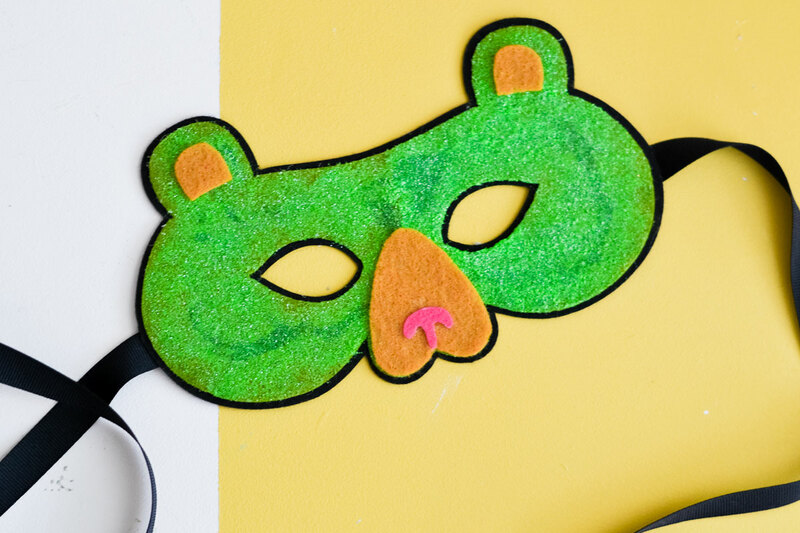 Cut your freezer paper over the image and you’ve made a stencil. 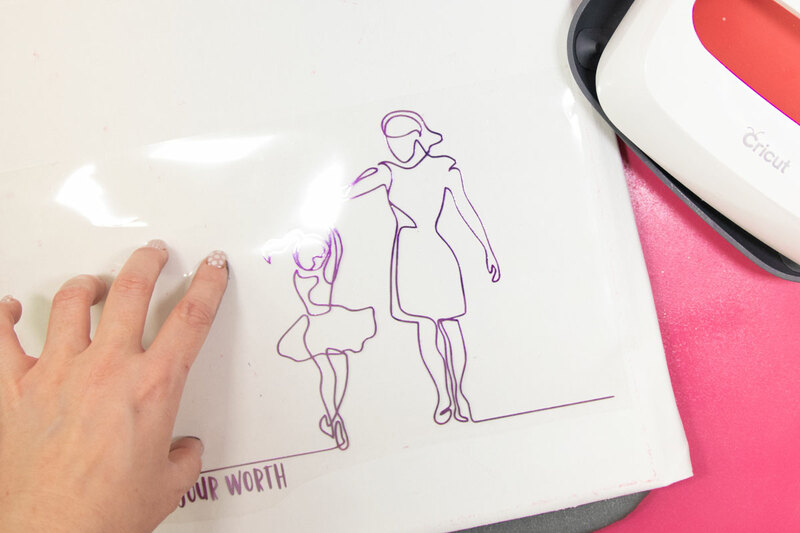 To cut freezer paper with your Cricut or Silhouette, lay your freezer paper shiny-side facing down on the cutting mat. Cut it as you would regular vinyl and then weed the image while it is still on the mat. How do I iron freezer paper? Lay your image on your surface shiny-side down and use the cotton setting on your iron with no steam. You want to press well so that you have no lifting on any of your pieces so that the ink doesn’t bleed through. Any middle areas of letters just place them where they should go and press again with your iron. Use some appropriate ink and use a foam stippling brush to put your ink on the areas. If you’re using fabric ink or regular acrylic craft ink, pay attention to the instructions on how to use them. To stencil, you want to have a plate of your ink and then an open area so that you can blot off the excess ink. When stenciling, the less the better. You’d want to have to paint more than getting a blob of paint and risk bleeding. How long should I wait before removing freezer paper? Allow your ink to dry completely before peeling your freezer paper off your custom doormat. I like to wait at least fifteen minutes if I’m using acrylic paint. If you use fabric paint, wait 30 minutes and then set it again with the iron. The same technique can be used on t-shirts but you will need to use fabric paint for that. That’s it! That is how easy it is to make your own custom doormat. 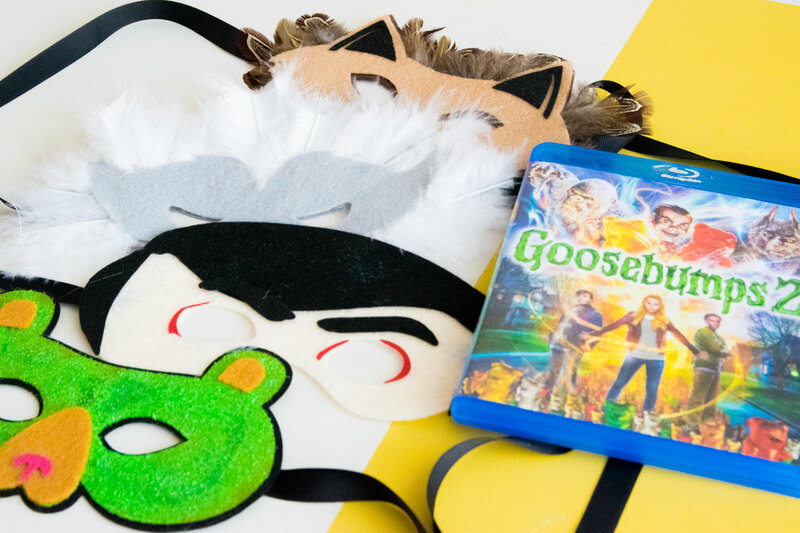 It’s inexpensive and you can make it match any holiday.